Home / How to pack a garage? People are usually not prepared to pack a garage when moving. On the other hand, it is expert’s recommendation to pack garage for moving first, even before rooms and large items. The reason is obvious. People have so many things in their garages. 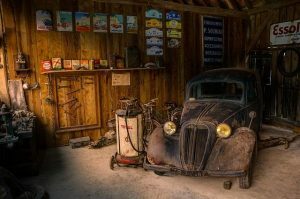 According to research, they actually do not put cars in their garages, filled with stuff. That is why the garage needs time for preparing and packaging when moving. Like on any other packing, it is very important to organize things that you have in the garage. That could be a very long and difficult job. As we said, people actually do not know what they have in garages. Packing a garage includes large items, but also some very small pieces. Some of the things are not needed (as you may forget about them). On the other hand, some of them you use daily. You should use a paper or notebook and list and sort all items. Pack garage for moving first, even before rooms and large items. As we said, there are many things in your garage, in different sizes. Pack a garage like a professional, or hire packing professionals Miami instead. Whatever you do, make sure that you have boxes in proper size, wrapping paper and plastic, small boxes and bubble paper. Considering all things that could be found in your garage it is good to use “trash” and “sale” box. In that way, you will pack and remove things while packing. You should throw away many of the things from your garage. It is the simplest way to choose them if you use “ten-year rule”. Everything that you have not used in the past ten years obviously does not belong there. You should also consider throwing away everything that is not used in the past year. It especially includes a daily tool or furniture. However, you do not need to trash them literally. You can sell them on a garage sale. You can put on the internet the information about it and expect many visitors and buyers. If you are not loved in yard selling, you can use Craigslist for that. Before you left the old house and garage, you should do a security process. That includes defrosting of the refrigerator, cleaning and removing of all trash. After all, you do not want just pack a garage, you want to leave your home clean for the new owners. Even though packing a garage seems as long and very hard job, it should not be at all. You should be prepared for this process and take in mind all the problems. On that way, packing a garage could be easy and simple like any other packing. This worth for the electric devices and machines. 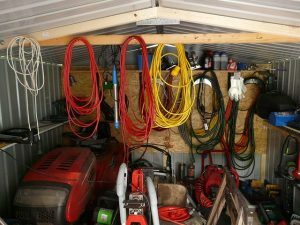 The safest way to pack a garage is to use boxes where electric machines were packed in. They usually have a Styrofoam and protection for the edges and smaller items. In that way, your job is much easier. On the other hand, it is much safer for packing the tool. You know that garages are full of different pieces of tools. Many of them can be dangerous if you do not pack them properly. That is why is important to take some time for that purpose, too. You can use wrapping paper, sponges or Styrofoam for protecting of sharp edges. It is also good to prepare small boxes for screws, for example. An old coffee box can be useful, too. When packing a garage many things from there could be harmful or dangerous. Do not put any box in the truck before labeling all of them properly. Even they are professionals with long experience like Miami movers for less, they will not be able to protect boxes if they do not know what is inside. Pack a garage but also remove from it all unneeded or even dangerous things. That includes things that are not safe for moving. Moving companies do not want to move plants, so consider of donating it. When packing a garage, you have not finished a job yet. There are a few things that you should keep in mind in order to protect yourself and workers in moving companies. You should know how to pack some of the things from your garage, and which steps to make while packing a garage. You will obviously do not put shelves in one piece in the trucks when packing a garage. However, it is important to know how to separate tables and parts of the furniture and protect them properly. In some cases, you can decide to leave furniture in the garage. However, if old shelves are damaged and cannot be used again, throw them away. These things could take a lot of space while moving and damage other boxes and packages. It will be easier if you simply separate bikes on parts and protect every one of them properly. 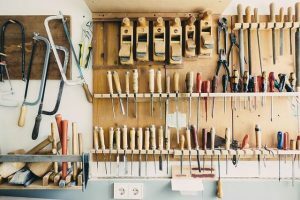 Make sure that you used a professional tool and put every part in one place. If you have too many small screws and pieces, put them in a special bag or box and label it. Put that bag in the same box with the bike. There is usually a gardening and yard tool in garages. It is important to protect them, too, when packing a garage. The best way is to wrap sharp edges in sponges and blankets. Small items you should put in boxes. Use wrapping for ceramic pieces, like pots. How to prepare for moving to Hallandale Beach FL?